Jamshedpur FC’s last home match of thw year proves to be an important match, as a win against the visitors, Delhi Dynamos would see them as one of the firm favourites to break in the playoff spots. Jamshedpur FC remain unbeaten at home this season but go into this game after two consecutive draws. The Men of Steel will look to set the record straight against a Delhi side that is yet to register a win this season. An away win for Delhi Dynamos would go a long way to end their year on a high note but the team looks far from that. The Lions have had good performances, but the final result has never gone their way yet. Simply put, Delhi Dynamos have lacked the clinical precision that you need in order to climb up the table in such a strenuous league. 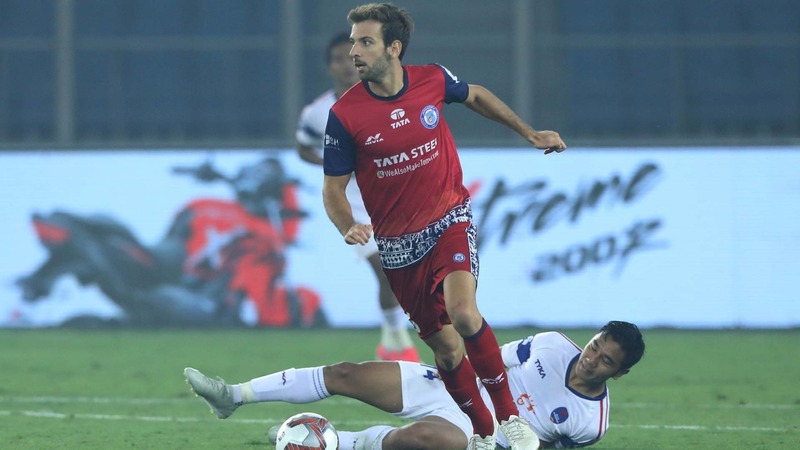 In their second campaign in ISL, Jamshedpur FC have done a lot of the right things to be in the position that they are in but there’s still a lot Cesar Ferrando’s side can improve upon. Most pertinent of which is the leaky defence and also the injuries to key players in the squad. The duo of Raju Gaikwad, Sergio Cidoncha are down and out with injuries. Each of the aforementioned players are important in their respective positions and offer something different than their contemporaries. The central midfielder turned wily winger Michael Soosairaj had a good run of impressive performances, but they were halted by the hamstring injury that he suffered in the last match that he played. He is back in training with the squad and may make an appearance tomorrow, confirmed Cesar Ferrando. The last encounter between these two sides ended in a draw and here’s what Cesar Ferrando had to say on facing them the second time around, “Delhi (Dynamos) is a good team and they play very well. We want to keep a clean sheet and win the match. We still want to improve the way we attack. Having said that, every match is a difficult match. But we are ready to play tomorrow”. The Jamshedpur FC Head Coach was also asked to dwell upon how his squad had implemented his distinct style of play so far this season. In his reply, Cesar mentioned that, “We can play well and win games. But there are a lot of things we still need to work on. Second Balls, counter-attack, shorter passing are things we need to improve upon. We need players who can always pass the ball. We should be able to play short or long according to the situation of the match. And we must take the chances that we get”. Chance creation has never been an issue for the Delhi Dynamos but it is the men upfront who have failed to deliver the goods consistently. The pair of Andrija Kaludjerovic and Danielt Lalhlimpuia have not been at their goalscoring best and subsequently the team has failed to score goals in crucial moments. When you shift your focus at the back, the Dynamos defence leaves a lot to be desired. When the team isn’t scoring goals regularly, the pressure on the defence to keep the match in the balance compounds which in turn leads to avertable defensive mistakes. The season so far for Jamshedpur FC has ebbed and flowed with impressive victories and disappointing draws. The men of steel are comfortable in possession and are averse at dictating the pace of the game. The likes of Mario Arques and Carlos Calvo have made the side a reflection of the coach's Spanish philosophy and a treat to watch at times. With the likes of Tim Cahill in the squad whose hold-up play and heading ability is second to none in the league, Jamshedpur FC always have the option to go long during the counter-attack. The variety in attack make Jamshedpur FC a dangerous proposition for any side in this league but they must need to convert their chances and close the gaps in their defence. Tomorrow marks an important clash for both sides, as a loss or even a draw would mean that the Dynamos will have failed to register a win in the first half of the league campaign. However, a win for Jamshedpur FC would mean that they would acquire the fourth spot as we get to the climax of the campaign. It’s all to play for both the sides in question!